Daydreaming of the sun shining down on your cold, pale skin? 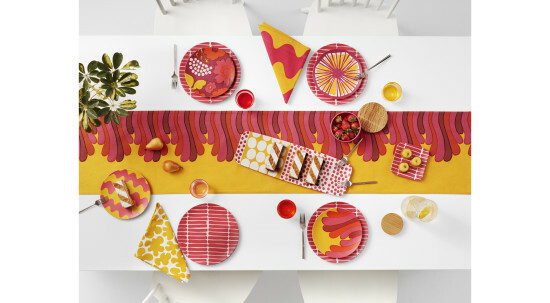 In Helsinki (where Marimekko is based), the sunshine lasts until nearly midnight in the summer months, inspiring a cheerful uplifting palette of punchy prints that are bound to brighten up any interior year-round. The timeless brand has been creating original prints since 1951. 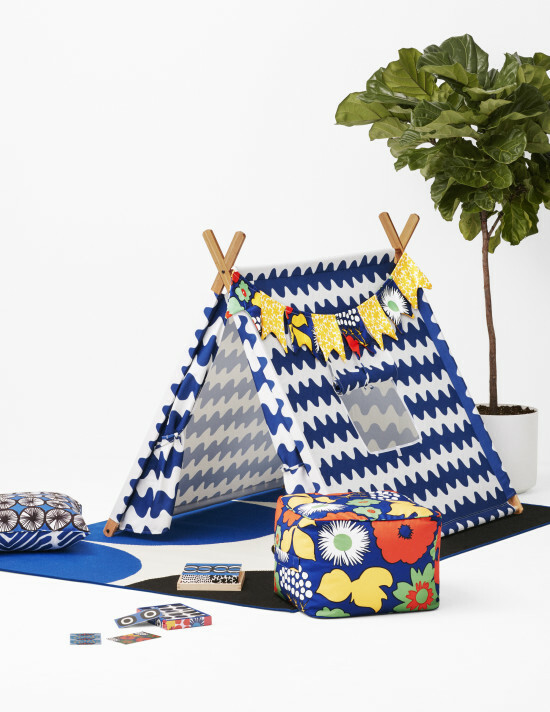 Now, a collaboration with Target will bring the colorful designs to the masses. The collection will feature more than 200 pieces that span outdoor décor, furniture, entertaining essentials, and apparel. It will be available in stores starting April 17.